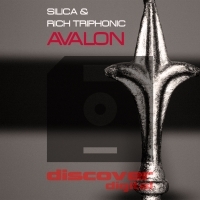 Silica and Rich TriPhonic cook up a gourmet trancer with Avalon that has a strong feel good factor and reminds us that the Ibiza Summer is just around the corner. The main riff is infectious and uplfting and gets further lift from the supporting piano melodies. Avalon will definitely put a smile on your face. 'Avalon' is available now from Beatport and iTunes.